As reported by The Borneo Post on 24/2/12, Petroliam Nasional Bhd (Petronas), which is embarking on a new production train project at its Petronas LNG Complex in Bintulu (Sarawak), has awarded the contract for the Front End Engineering Design (FEED) for the project to JGC Corporation and to a partnership of Chiyoda Corporation and Saipem SpA. The contract, awarded under a dual FEED scheme, would see two contractors compete in the FEED and in the Engineering, Procurement and Construction (EPC) price proposal for the project, known as Petronas LNG Train 9, it said in a press release yesterday. The FEED was scheduled to be completed in December 2012, where the winner would be awarded the project’s Engineering, Procurement, Construction and Commissioning (EPCC) contract. The new LNG train would add another 3.6 million tonnes per annum (mpta) to the existing 24 mtpc production capacity of the Petronas LNG Complex and would utilise the same liquefaction process technology as the complex’s existing eight trains. The required feed gas of up to 850 million standard cubic feet per day (mmscfd) would be supplied by the various fields offshore Sarawak. The project was targeted to meet its Final Investment Decision (FID) by the first quarter of 2013 (1Q13) with Ready for Start-Up (RFSU) date targeted for 4Q15. Upon completion, Petronas LNG Train 9 would include gas receiving facilities, acid gas removal unit, dehydration and mercury removal unit, fractionation and liquefaction unit, LNG rundown unit and all the associated utilities and facilities. The LNG produced from the new train would be exported via the existing storage and loading facilities within the complex. 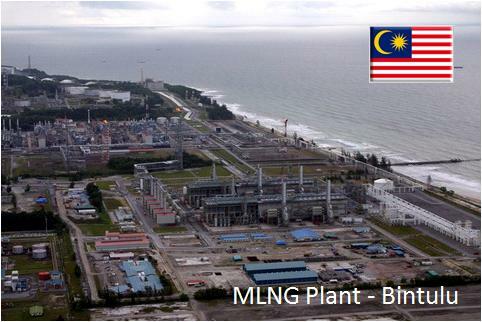 A new company, Petronas LNG 9 Sdn Bhd, was incorporated on January 13, 2012, to manage the project.